PokerStars announced yesterday that a partnership has been agreed with the Resorts Casino Club in Atlantic City to provide online poker to New Jersey. Just days after a New Jersey appellate court ruled against PokerStars in their attempt to keep the deal with the Atlantic Club Casino alive, the world´s largest poker site has announced a replacement partner which may enable them to provide an online poker service in New Jersey. The deal with the Resorts Casino Club is subject to the an online gambling license being issued by New Jersey gaming regulators, but both PokerStars CEO Mark Scheinberg and Resorts´ Company Chairman Morris Bailey were both said to be “excited” about the collaboration. Inasmuch as Morris Bailey was gushing about “another blue chip partner” for the former Quaker building, the partnership means much more for PokerStars. As New Jersey forms compacts with other States to increase player liquidity, the Garden State would become the center for Internet gambling in the country. 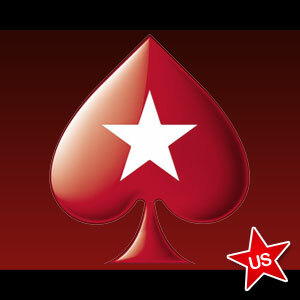 With PokerStars being the world´s leading online poker site, it is conceivable that casinos in other States would want to associate themselves with the most recognized brand name in Internet gambling to increase their own profile, and this would allow PokerStars to have a presence in most of the United States as online poker is regulated throughout the country. New Jersey´s compacts with other States are a necessity for online poker to thrive in the US. The PokerStars/Resorts Casino Club is the seventh agreement between Internet gaming companies and brick and mortar casinos to provide online poker in New Jersey, and with a total population of less than 9 million, you have to wonder where the players are going to come from to make online poker in New Jersey feasible. 888 Poker is intending to provide online poker through the four Caesars-owned casino in Atlantic City, while Bwin.party has teamed up with the Borgata Casino, and Nevada´s online poker site – Ultimate Poker – has a deal in place with the Trump Taj Mahal. Other alliances have been formed between Bally Technologies and the Golden Nugget Casino, Betfair and the Trump Plaza, and Gamesys and the Tropicana – stretching player liquidity to the limit. Unlike Nevada, where the launch of online poker sites is being staggered as each operator is given the go-ahead by State gaming officials, real money poker in New Jersey is due to start in unison on November 26th to prevent one site from gaining a head start on the others by being the first to go live. A schedule is in place for operators to fulfill certain requirements in order to be included in the November 26th launch, and although PokerStars missed the June 30th deadline for announcing their brick and mortar partner, it is unlikely to negatively impact their participation on “green light” day. The next date of importance for PokerStars and the other sites intending to provide online poker in New Jersey is July 29th – by which date all applications for an operating license have to be filed with the State´s gaming regulators. Online poker operators who miss this deadline are likely to be left behind in the New Jersey market for, although they can launch later than November 26th, they will have to make up ground on the competition and their established customer base – a difficult task if your competition includes PokerStars! Follow Poker Sites US on Facebook to keep up to date on the latest US poker news.